Educators have an ongoing challenge as they strive to stay up-to-date with new technology. One emerging technology, RFID (radio frequency identification) tags, has the potential to impact information systems in businesses as well as in our lives. 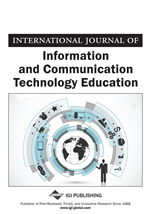 Educators responsible for planning curriculum need to consider how to incorporate topics pertaining to RFID technology into a wide variety of technology courses. Therefore, one purpose of this manuscript is to give curriculum planners and teachers a summary of RFID by: presenting an overview of RFID technology; exploring RFID limitations and possible solutions; and examining the future outlook of RFID. An additional purpose further assists educators in considering how to incorporate this new course topic into the curriculum by providing some teaching resources, objectives and suggestions pertaining to RFID.